In 1973, Larroquette decided that acting was what he should be doing. Smalll movie parts gave way to his breakthrough in 1983 with the role of philandering but harmless prosecutor Dan Fielding on the hit sitcom “Night Court,” a part that earned him four consecutive Emmy Awards. 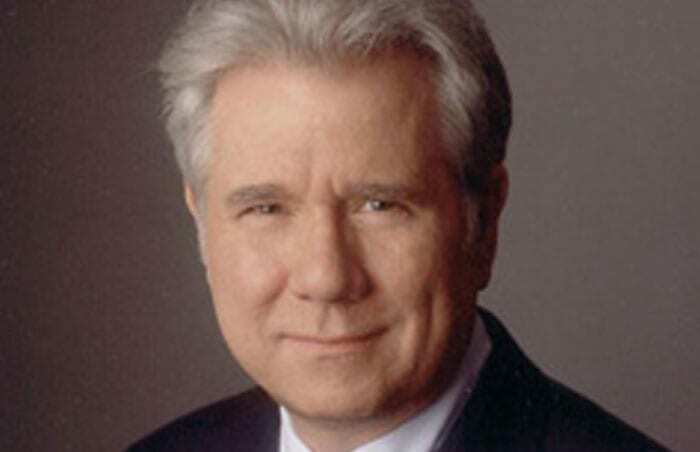 Larroquette took enough time off from the series to appear in a string of movies, and in 1993 he got his own series, “The John Larroquette Show.” It allowed him to play a recovering alcoholic, a role that wasn’t much of a stretch. Since then John has appeared on “Boston Legal”, hosted the A&E show, “The incurable Collector”,and “The Librarians”. He is a Tony award winner for “How to Succeed in Business” on Broadway. Both entertaining and captivating, John Larroquette shares his bittersweet story about alcoholism and the fight to recover. A prolific drinker during the 70’s, he got sober in 1982 and has spent much of his time since sharing his story so that others suffering from the same disease might realize there is a way out of the bottle and into life. Larroquette still gives thanks everyday for the life he was given a chance to reclaim, particularly when so many others never see a way out of their disease and succumb to it in one way or another… a memorable evening of celebration woven in an inspirational message! Larroquette took enough time off from the series to appear in a string of movies, and in 1993 he got his own series, “The John Larroquette Show.” It allowed him to play a recovering alcoholic, a role that wasn’t much of a stretch. A prolific drinker during the ’70s, the actor got sober in 1982 and has spent much of his time since sharing his story so that others suffering from substance abuse and addiction might realize there is a way out of bottle and into life. Larroquette won his fifth Emmy in 1998 as a guest-star in two episodes of the legal drama “The Practice,” receiving an additional Emmy nomination in 2002 for his reappearance in the series. Additionally, he hosted the A&E show “The Incurable Collector,” a one-hour series that focuses on the passion for collecting. Larroquette is an avid collector himself. His library consists of more than 5,000 modern first edition books. He also collects antique fountain pens, cameras, photographs, and watches. Married for over 30 years and the father of three, Larroquette still gives thanks every day for the life he was given a chance to lead.